Getting information from one device to another can sometimes be a cumbersome task. You might be able to transfer the phone number and name of a contact, but no other information. Another pitfall to most data transfers is an inability to move data from one type of phone or device to another. When you need to upgrade your phone, switch carriers, backup information, or move data, the right tool will make this a seamless process. MobileTrans is a cross platform utility that can be used to make upgrading, carrier transitions, and more a breeze! 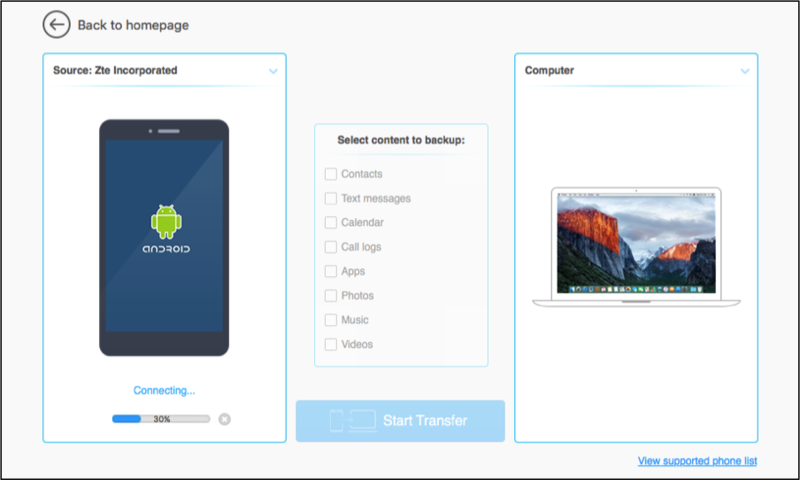 It may be used to backup your phone data to a Mac or Windows computer and to restore the backup any time it is necessary. Additionally, MobileTrans delivers 100% reliable backups where nothing is lost. 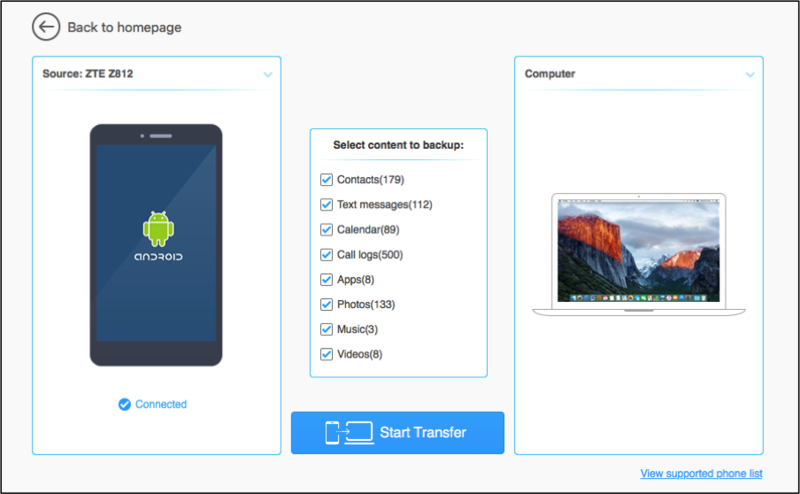 • Transfer of Data Between Devices – With MobileTrans, you can copy contact information, text messages, call logs, music, and more between Mac, Windows, Android, and others in one easy click. • Extensive, Cross Platform Support – MobileTrans supports a vast array of popular devices including Apple, Samsung, Blackberry, Sony, LG, and more. • Transfer Data between Cellular Carriers – The utility can transfer your data whether the phone is tied to different carriers or a pre-paid, no-contract plan. Data may be transferred to a phone of a different carrier such as AT&T, Verizon, or Sprint. 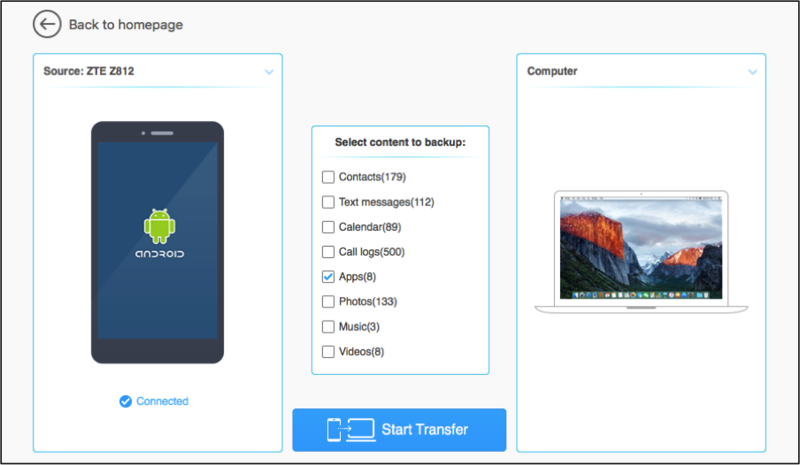 • Backup Data from Old Phones – MobileTrans can backup data stored on an old phone for restoration on a new one. The process is easy and only takes a few minutes! • Erase Old Phone Data – One of the biggest fears is having someone get ahold of your data on an old phone or device. 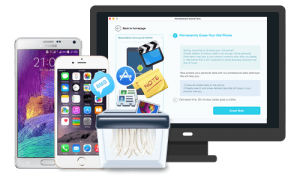 With MobileTrans, you can erase old data before it ever reaches the hands of anyone else. The utility offers several other abilities including seamless transfer of iTunes or iCloud data to any phone. You can use it to store regular backups of phone data to a Mac or Windows computer. 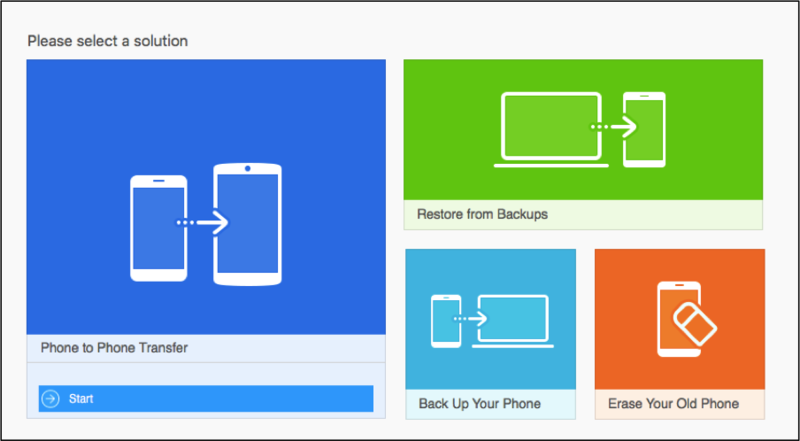 Additionally, it offers an easy fix when a backup must be restored on your phone. MobileTrans is your “go to” tool for any type of data transition and can be extremely helpful in a pinch. Note: More than one device can be connected and used with MobileTrans on the computer. 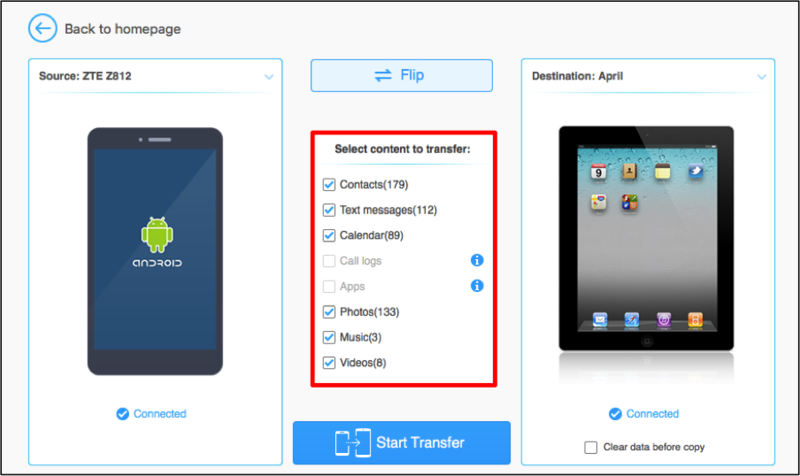 • Phone to Phone Transfer – Use this option to transfer any compatible files between devices regardless of type, carrier, etc. • Restore from Backups – Restore an available backup to the connected device. • Back Up Your Phone – Perform a full data backup for the phone or device to the computer where MobileTrans is installed. 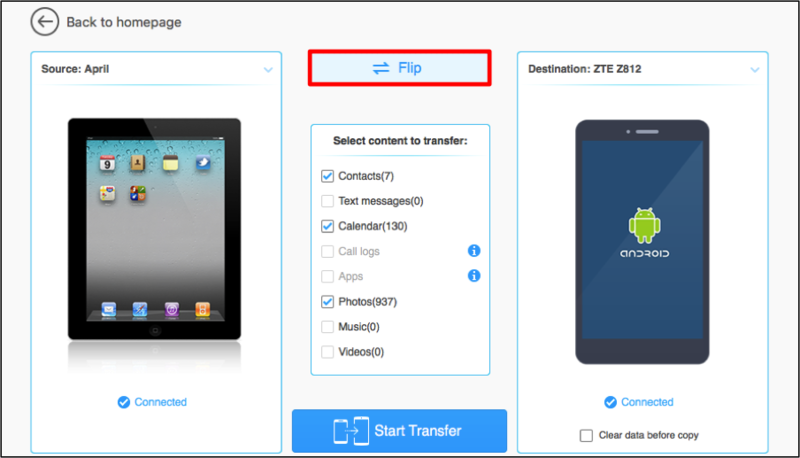 • Erase Your Old Phone – Remove all data from the currently connected device. Simply connect one or more devices to the computer where MobileTrans is installed. Then open the utility (if not already running) and click on an option provided in the main window. 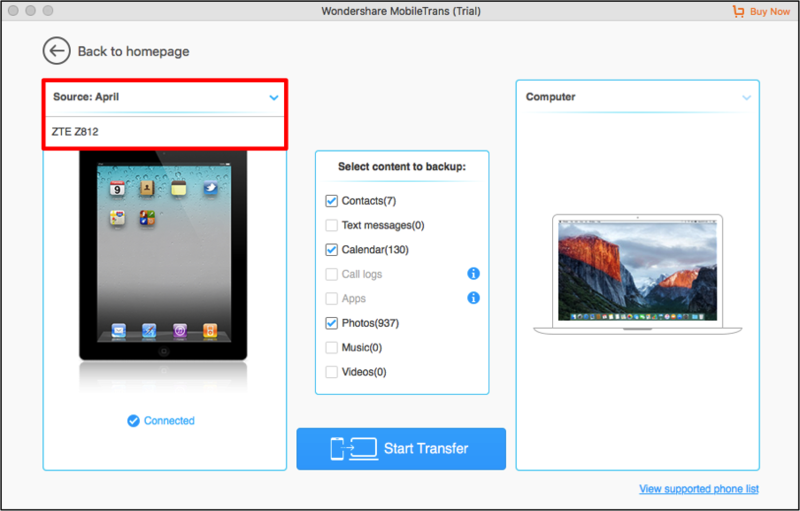 Steps are provided below to show how to perform a simple data transfer and data backup with MobileTrans. Note: Certain options are not available when using the free trial. MobileTrans must be purchased to fully complete backups and transfers. 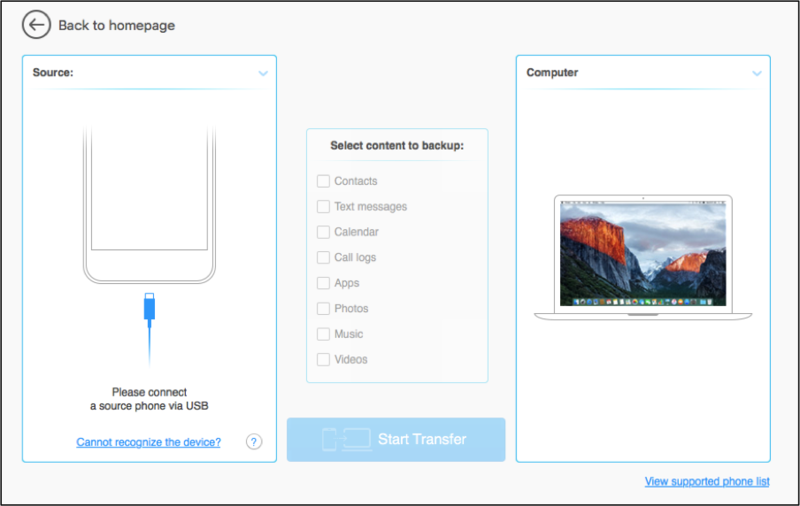 The following tutorial shows how to transfer data from one device to another using the Mac install. Make certain the utility has been opened and each device has been connected to the computer. 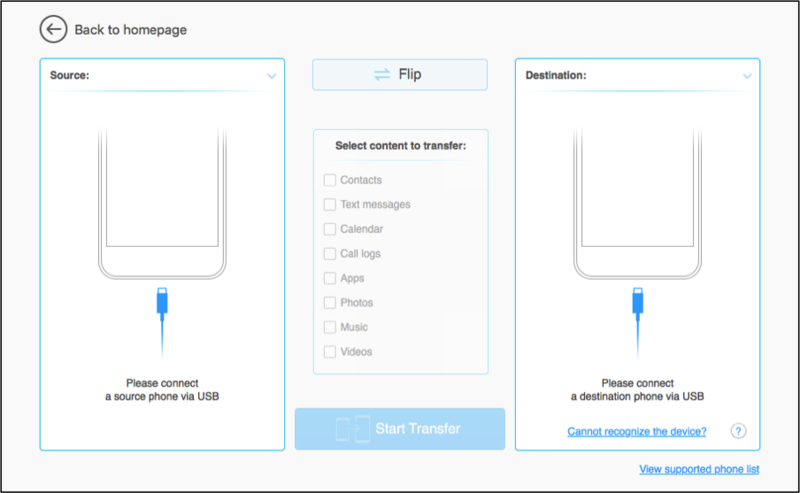 Step 1: To begin, first select the Phone by Phone Transfer option by clicking on it within the main screen. Note: If the device cannot be located, click on the Cannot recognize the device? link in the utility and follow the provided steps. Next, a little time is required for MobileTrans to analyze each connected device. No options can be selected while this process is occurring. Please wait patiently for the process to finish. Then continue to Step 2 to transfer data between the connected devices. Step 2: One device will be marked as the Source and the other will be marked as the Destination. Data will be transferred from the source to the destination. You can switch this configuration by clicking on the Flip option. As shown below, now the Android phone is the source and the iPad is the destination. Step 3: After the devices have been identified, the utility will show the number of items available for the transfer broken down by category. Everything will be checked by default; however, you can click on the checkbox next to each item in the Select content to transfer window to remove any unwanted selections. Note: If using the free trial, you will only be able to complete the transfer for 5 contacts, which will be selected randomly. Step 4: Contacts will be chosen for this example. After you have configured what will be transferred, click on Start Transfer to begin. Step 5: The following window will appear and provide information regarding what has successfully been transferred or failed. A progress indicator is provided to show the percentage of completion for each item being transferred between the devices. Once finished, click on the OK Button to close this window. • Click on Phone to Phone Transfer. • Make Data Type Selections. • Click on Start Transfer. 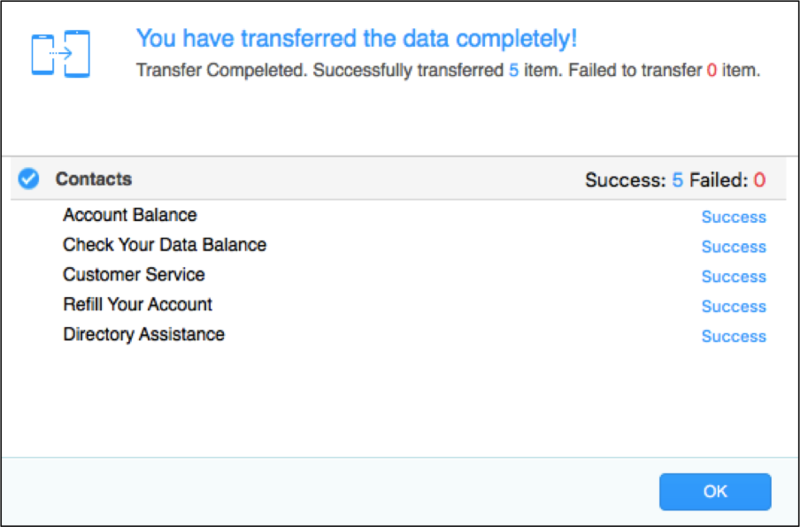 Transferring data is easy with MobileTrans and the utility provides support for a number of devices! 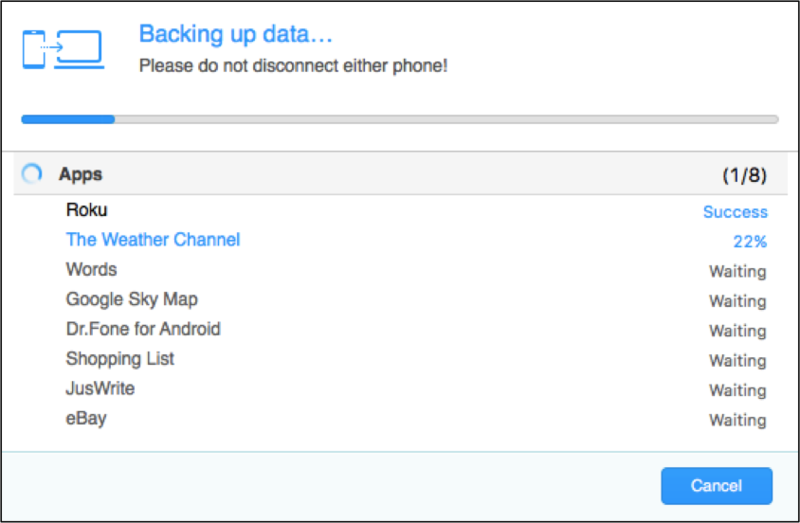 Step 1: First, select the Back Up Your Phone option to begin the backup process. If no device has been connected, only the computer where MobileTrans is installed will appear within the utility. Connect your phone and then follow the tutorial. 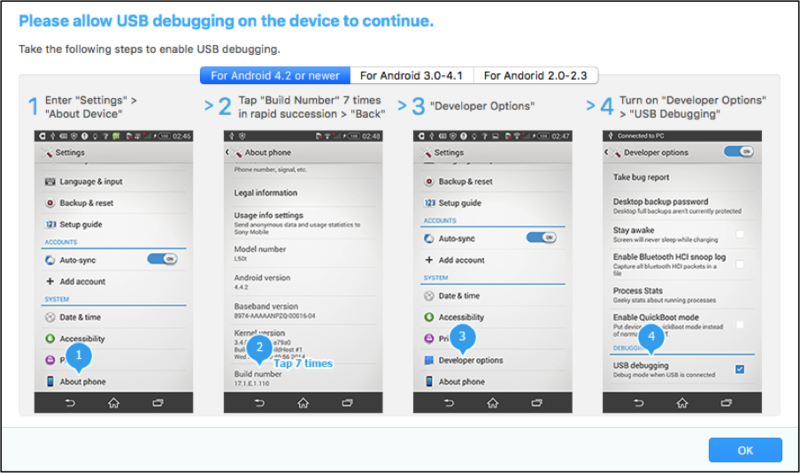 For many Android devices, you will need to enable USB debugging in order to continue with the backup. The instructions are provided on the screen for several Android operating systems. Step 2: Next, select what types of files you would like to backup within the Select content to copy section of the screen. Every type of data is chosen by default and you can click on a checkbox to remove any unwanted items prior to the backup. Otherwise, skip this step and continue to Step 3 to backup everything on the device. More than one phone or device may be connected to the computer at a time as well. If you need to switch devices, click on the device name and choose the desired one in the drop-down menu. 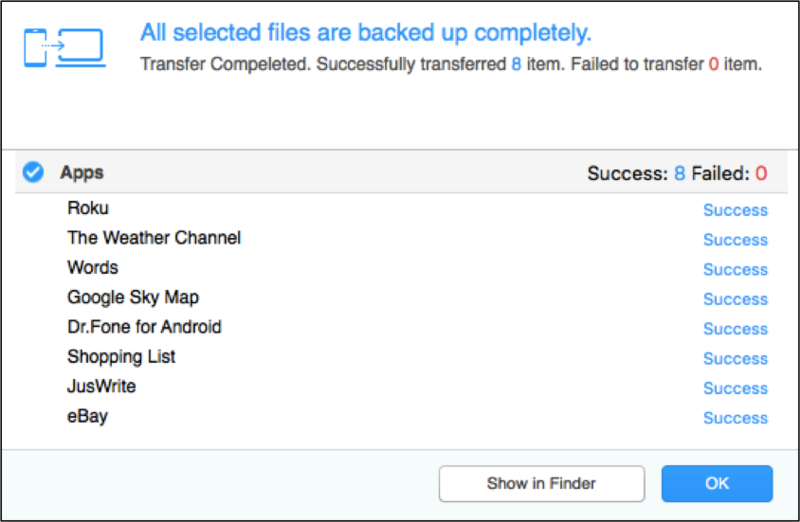 Step 3: To begin the backup, click on Start Transfer at the bottom of the utility. Then wait patiently while MobileTrans creates the backup and saves it to the computer. In the example below, only Apps will be backed up for the connected Android phone. Step 4: A pop-up window is provided to show the progress of the backup. Remember to leave the device connected throughout this entire process to avoid problems. To exit the backup and return to the utility, just click on the Cancel Button. Step 5: When finished, all you need to do is click on OK and the pop-up window will close. You can now view the backup on the computer by going to Documents > MobileTrans > Backup. 1. Select Backup Your Phone. 3. Enable USB Debugging (if required). 4. Choose What to Backup. 5. Click on Start Transfer. 6. Complete the Backup & View Files. After a couple of minutes, you will have a backup of all data or selected contents that is immediately accessible on the computer. 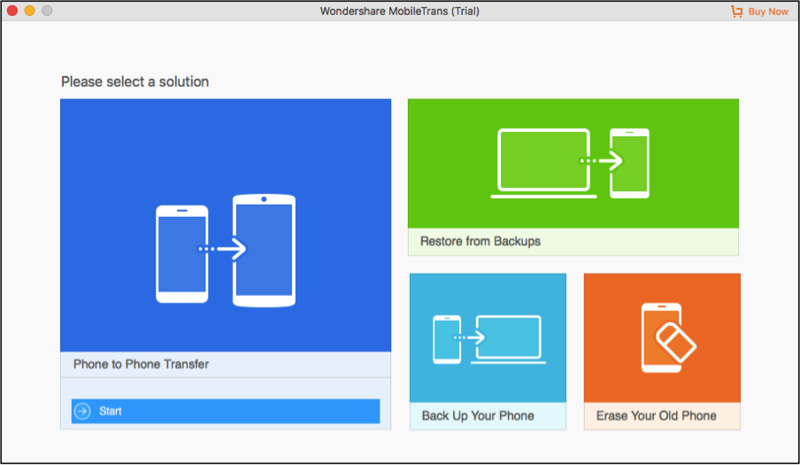 When needed, this backup can be restored to your phone or tablet with MobileTrans. Download the free trial to see how easy it can be to transfer and backup your data regardless of where it is stored!